Global Finance presents its annual awards for the Best Trade Finance Institutions globally, regionally, and by country. The outlook for the trade finance business in 2014 is rosy, based on economists’ expectations for a pickup in global economic growth, led by the developed countries. There are a number of potential pitfalls, however, that need to be avoided. Perhaps the biggest concern is that regulators could raise the cost and lower the availability of trade finance as an unintended consequence of their efforts to make the banking system stronger. Certain aspects of the Basel III framework, including a proposed leverage ratio, could result in reduced global trade flows at a time when they are essential to support economic recovery, according to BAFT-IFSA, an international financial services trade association. A binding leverage ratio would encourage institutions to hold assets that are more rather than less risky, the association says. This is because riskier assets would produce a higher relative return on capital than safer assets. 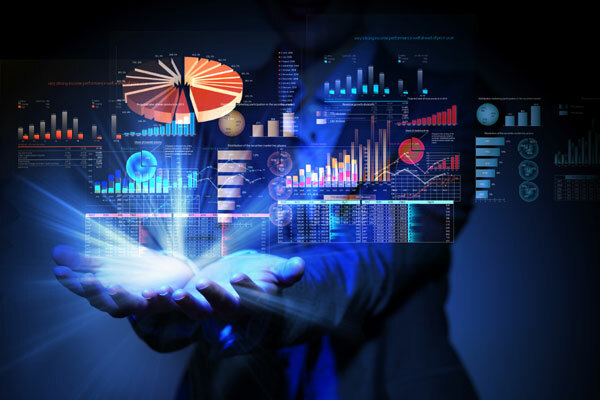 As trade finance instruments are underpinned by the movement of goods and services, they do not lead to the kind of leveraging that may endanger real economic activity, according to BAFT-IFSA. Global regulators appear to be listening. In January the Basel Committee on Banking Supervision made concessions to banks by watering down debt-limit rules that could have penalized low-risk financial activities, such as trade financing. The committee will allow banks to use netting to calculate the leverage ratio. The regulatory disincentives for trade finance were relaxed, but not eliminated. The Basel Committee says that any final adjustments to the definition and calibration of the standardized leverage ratio, which is currently set at 3%, will be made by 2017. The minimum capital requirements would go into effect on January 1, 2018. Banks will be required to publicly disclose their Basel III leverage ratio on a consolidated basis from January 1, 2015. The Basel Committee revised the rules used to measure some off-balance-sheet activities in order to benefit trade finance transactions. The new rules do not require banks to count 100% of their off-balance-sheet assets, including guarantees, letters of credit and derivatives exposures, when calculating the leverage ratio. They will be able to take risk into account. When converting an off-balance-sheet exposure to an on-balance-sheet equivalent, the leverage ratio will use the Basel framework’s standardized approach for credit risk under the risk-based requirements, subject to a floor of 10%. BAFT-IFSA says it supports the committee’s efforts to impose a leverage ratio as a means to reinforce and complement the risk-based capital requirements. However, it says the risk-based requirements should be the binding requirements for most institutions, in order to correlate their capital levels with the actual risks they take. The leverage ratio should remain the supplemental requirement, according to BAFT-IFSA. “Reversing this intended relationship would have a significant impact on the provision of important commercial financing services, including trade, export and development finance,” it said in its comments to the Basel Committee last September. It noted that in other areas of regulatory supervision recommended by the committee, trade finance has received recognition as an important real-economy financing product. The industry association is trying to standardize the securitization of trade finance assets, helping to create a new asset class for institutional investors. 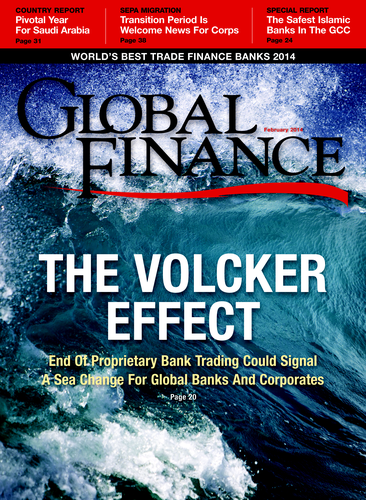 In December 2013, Citi and Santander sold $1 billion of trade finance assets. This was the first such securitization involving more than one bank in different countries. It followed a commodity trade finance securitization by BNP Paribas in August 2013. Meanwhile, the demand for trade finance continues to outrun the supply, particularly in emerging markets. An excellent trade finance bank is an essential partner for corporations as they expand their global reach. Global Finance editors, with input from industry analysts, corporate executives and technology experts, selected the best trade finance banks in 83 countries or regions. A poll of Global Finance ’s corporate readership was conducted in order to increase the accuracy and reliability of the results.